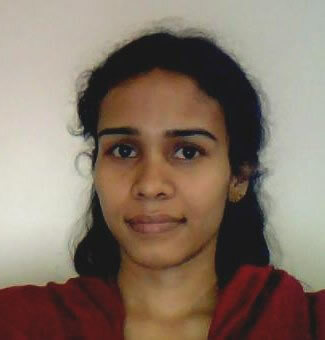 Indrani Kar joined the institute in 2009. Office Address: Room No. 108, EEE Department, IIT Guwahati, Guwahati-781039, INDIA. "A Model of Electric Vehicle Charging Station Compatibles with Vehicle to Grid Scenario", Mukesh Singh, Praveen Kumar, and Indrani Kar, in IEEE International Electrical Vehicle Conference, March 4-8, 2012, Greenville, South Carolina, USA (2012). Indrani Kar and Laxmidhar Behera. "Direct adaptive neural control fo affine nonlinear systems", Applied Soft Computing, Vol. 9, Pages: 756­-764, 2009. Indrani Kar and Laxmidhar Behera, Direct Adaptive Neural Control Scheme for Discrete Time Affine Nonlinear Systems, IEEE Multi-conference on Systems and Control, September 2008, San Antonio, US. Indrani Kar, Prem Kumar P. and Laxmidhar Behera, "Visual Motor Control of a 6 Dof Robot Manipulator Using a Fuzzy Learning Paradigm", IEEE World Congress on Computational Intelligence, June 2008, Hong Kong. Indrani Kar, Prem Kumar P. and Laxmidhar Behera, "Network Inversion Based Controller Design for Discrete T-S Model", IFAC World Congress, July 2008, Seoul. P. Premkumar, Indrani Kar and Laxmidhar Behera, "Variable Gain Controllers for Nonlinear Systems using T-S Fuzzy Model", IEEE Trans. SMC-B, Vol. 36, No. 6, Pages: 1442-1449, 2006. Laxmidhar Behera, Indrani Kar and Avshalom C. Elitzur, "Recurrent Quantum Neural Network Model to Describe Eye Tracking of Moving Target", Foundations of Physics Letters, Vol. 18, No. 4, Pages: 357-370, 2005. Indrani Kar, Richa Tayal and Laxmidhar Behera, "Quantum Memory and Pattern Retrieval", Internation Journal of Lateral Computing, Vol. 1, No. 2, 2005. Indrani Kar, Prem Kumar P. and Laxmidhar Behera, "On Identification and Stabilization of Nonlinear Plants using Fuzzy Neural Network" IEEE SMC, Hawaii, Oct 10-12, 2005. © 2016, EEE Department, Indian Institute of Technology Guwahati. Contact eeeoff[AT]iitg.ac.in for queries.